This book is one that is jam packed with good information, I mean seriously, good things right here! There are 3 main sections of this book, the second section the majority of it as it focuses on 9 keys to building positive lifelong relationships with your children. However, that does not mean the other 2 sections are not important. The first section focuses on how not to parent really, and of course of my favorite television mothers referenced as well as fixing a poor parenting parent if you are in one. The third section focusing on moving forward with implementing the keys and strategies just discussed. Each chapter ends with reflection questions that are thought-provoking and really help you think about your own style of parenting and how you are doing in that role. Mike writes in a conversational style that is completely easy to read and connect with, and his tone is not judgmental, but honest and open. I really liked the layout of the book and how it all flowed nicely. This is a book that I am going to go back and reread, really taking my time reading and refer back to it often. I highly recommend it! "A Life of Lovely: the young woman's guide to collecting the moments that matter," is an excellent book for girls; however after reading this I would say it is more geared for older teens and early 20's, not for younger girls, although the messages are important to be hearing early on. Each day girls are bombarded with images, songs, words, messages in all forms that may impact their self-talk and their beliefs about themselves so that they think they are not good enough, not pretty enough, just not enough in general. However, Annie encourages the reader to really seek out the beauty, the loveliness around, and the confidence and strength that one already possesses and build on that, as God has created each one unique and lovely. I love how each chapter ends with an action that is specific for finding loveliness in that area, something simple such as painting your toenails, or listening to a worship song or thinking about that friend who builds you up and is a strong support for encouragement. This book is written in a conversational tone that is easy to read and follow and it is an inspiring read. This book is filled with so many quotes and so many lines that I found myself nodding my head at and agreeing with it wholeheartedly as it was so me! 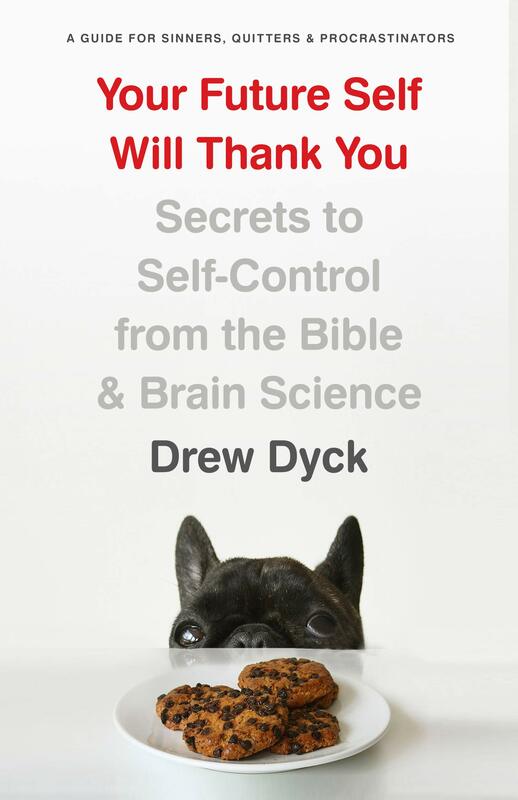 Drew dives into a discussion about self-control and the excuses we make to ourselves constantly, each and every day, and that the true enemy preventing us from reaching our goals is ourselves. Right on the very first page, starting out the entire book, Drew states that he makes the same resolutions every year. How many of us can say that same thing? Ummm....me for sure. That is why as soon as I started reading, I knew this was a book I had to read. As the chapters go on, the discussion turns more to habits and how self-control can become automatic and how this is connected with habits and how habits are worked into our lives becoming how we live each day. Relying on God and seeking help from Him and others is a key to creating these habits and changing your lifestyle. I love this line shared by Drew: "The key to living a holy life isn't simply to out-battle temptation at every turn. It's to build righteous patterns into your life." I also love the chapter that is included on the distractions that come along with the digital era that we are living in. The wisdom pyramid that is included is spot on, as it lists the Bible as the base, the foundation and social media at the very tip top. Unfortunately we get sucked into social media and that results in the comparison game and trying to live through comparing ourselves to others instead of living following God's guidelines and living a life to please Him. I highly recommend this book for everyone as we all could use a little nudge to getting on track with bettering ourselves and reaching goals that we may each have made for ourselves. "Never Let Go" is such a great start to this series, I cannot wait for book #2 to come out! This is fast-paced, action-filled and a nice mix of suspense and romance. Willow is faced with so many decisions professionally with what to do with the business she was running with her late grandfather and if that wasn't enough now she has to face some personal issues, some heart issues when Austin becomes a part of her life once again. Trying to solve a mystery from so many years ago, and obviously someone wants it to remain unsolved, has Willow more determined and more vigilant. Both main characters are strong and likeable, it was easy to feel a connection right away with them. I highly recommend this book for those whom enjoy romantic suspense, you will not be disappointed! A storied castle. A band of rebels. A nation chasing a centuries-old dream of freedom. And three women who rise above it all . . . When Laine Forrester travels overseas to attend her best friend’s vineyard wedding, she expects to find the bride on the brink of a fairy tale life. But after a series of unforeseen setbacks, it seems the storybook lives they’d imagined are suddenly ripping apart. With hopes of resurrecting a happy ending, Laine agrees to accompany the newlyweds to the groom’s home in Ireland—never expecting she’d be the one drawn in by its wide-open moors, backroads bordering the Irish Sea, and a mysterious castle that dares to keep its secrets hidden. From the storied streets of Dublin to the shores of the Emerald Isle, Laine is drawn in to the land and its rich history. The castle ruins whisper stories of Issy—a photojournalist battling through the 1916 Easter Rising, and Maeve—the castle’s lady of legend, fighting for survival through the 1798 rebellion that started it all. Spanning more than two centuries, Castle on the Rise unites the legacy of three women who must risk mending the broken places within—for life, love, and the belief that even through the depths of our pain, a masterpiece of a story can emerge. This latest read from Kristy Cambron, "Castle on the Rise," is such a masterpiece! Kristy has done another incredible job with this book as she weaves together stories from various generations, melding together history and present day so seamlessly. I have never been to Ireland, but after reading this, I had a strong desire to go visit. Laine is such an amazing character (one of many in this story!) and I found her very relatable and loved being on this adventure with her. The mysterious castle was such a great backdrop to so many secrets and so many lives throughout the centuries and it was so vividly described that I felt as if I was there wandering the halls and uncovering the layers of stories housed within the walls. If you have not read a book by Kristy, run out and get all of her stories, but most definitely this one as it is a book you do not want to miss! I loved this return to Stoney Ridge and reading more about some of the characters from the previous series as well as meeting so many new ones. This is a great start to this new series and I cannot wait to see where the characters' stories go and who else we get to meet! A tie to her past is about to land on her doorstep... literally. "A Return of Devotion" is book #2 in Kristi Ann Hunter's Haven Manor series and it is a great book and has left me wanting to read book #3. Daphne and William are both wonderful main characters and I thoroughly enjoyed their story. Daphne has such a huge heart and she has been living a secret life for over a decade and the past is soon to catch up with her as well as how she has been living when William shows up at the door. William knows that there is more meets the eye as things are not adding up and do not just seem quite right, but he just isn't sure just what is the true story yet. Kristi does a great job with bringing these characters to life, the time period and society practices to life and a riveting story line that keeps you wanting to keep on reading and turning the pages from the very start to the very end. This story has the themes of forgiveness and hope woven throughout it and it is a sweet read that will leave you wanting more! Life is full of twists and turns. Relationships falter, careers fizzle, health fades. We may be faced with choices we never wanted to make or have situations pushed upon us we never expected. Yet in all of it, God is at our side--even when He feels far away. Drawing on her extensive research into women of the Old Testament, novelist Jill Eileen Smith turns her pen to what we can learn about trusting God from women like Eve, Noah's wife, Sarai, Hagar, Lot's wife, Rebekah, Rachel, and more. You'll discover what these ancient women did right--and what they did wrong--when faced with dashed expectations and deferred dreams. And you'll come away with the confidence that God loves you and is forming you through your trials into the woman He longs for you to be. Jill Eileen Smith is the bestselling and award-winning author of the biblical fiction series The Wives of King David, Wives of the Patriarchs, The Loves of King Solomon, and Daughters of the Promised Land. Her research into the lives of biblical women has taken her from the Bible to Israel, and she particularly enjoys learning how women lived in Old Testament times. Jill lives with her family in southeast Michigan. Learn more at www.jilleileensmith.com. I was so excited when I saw that Jill Eileen Smith had written this book, a Christian Living title, as I have read every single novel she has written and have come away with a deeper, and clearer knowledge and understanding of various individuals who are in the Bible. This new book, "When Life Doesn't Match Your Dreams," is an obvious choice to read, because when does life ever go exactly how we have planned?! We each have our own ideas of how life should be, but God is the one who decides and has our lives all planned out and He is always right there with us. However, that does not mean that we are not going to experience lows or have moments of feeling alone. Jill's purpose for this book is to provide us with hope, to remind us that God is in control and He is by our side through it all. Each chapter is this book focuses on a specific woman from the Bible, some that are well known (Eve), others not so much (Noah's wife). Jill states the passage from the Bible as to which each chapter is based upon and then the story and the details that really "complete" the story are shared. Each chapter has a section of applying the story to the world today, to our life right now and also thoughts to ponder and questions to reflect upon. I really enjoyed each of these chapters as I feel like I have a better understanding of these women and what their lives would have been life, and also I am left feeling hopeful and reminded of God's role in my life. My two personal favorite chapters were the ones that focus on Noah's wife and Potiphar's wife; two lesser known individuals, but filling such big roles. I highly recommend this as a book to read on your own or even with a small group. Sarah Sundin is one of my most favorite historical romance writers, each and every book she writes is so good and it feels as if history is coming alive while reading. "The Sky Above Us" is book 2 in Sarah's Sunrise at Normandy series and we return to reading about the Paxton family, this time the focus in on Adler. Adler is not only in the midst of war, but he is also fighting internal battles and Violet is determined she can help him, she can feel it in her heart. I have to say that Violet is one of my favorite characters in all of Sarah Sundin's books, there's something about her that really tugs on my heart; however so does Adler, so maybe it's how she approaches him and their interactions as well. Adler and Violet are both independent and strong characters, and Violet has a heart for missions and helping others and she is truly following her passion and helping so many during this treacherous time. This book just puts a whole new perspective on World War II and what war was really like for so many, whether they be in the midst of battle, or trying to keep spirits up. All the while they are individuals still dealing with things in their personal lives in addition to the daily battles fought each day for the country. For anyone whom enjoys history, this is a must-read, as it truly brings this historical time period to life and will have you falling in love with the characters and left wanting to read more! Baker and pastry chef Melody Johansson has always believed in finding the positive in every situation, but seven years after she moved to Denver, she can’t deny that she’s stuck in a rut. One relationship after another has ended in disaster, and her classical French training is being wasted on her night job in a mediocre chain bakery. Then the charming and handsome private pilot Justin Keller lands on the doorstep of her workplace in a snowstorm, and Melody feels like it’s a sign that her luck is finally turning around. Justin is intrigued by the lively bohemian baker, but the last thing he’s looking for is a relationship. His own romantic failures have proven that the demands of his job are incompatible with meaningful connections, and he’s already pledged his life savings to a new business venture across the country—an island air charter in Florida with his sister and brother-in-law. Against their better judgment, Melody and Justin find themselves drawn together by their unconventional career choices and shared love of adventure. But when an unexpected windfall provides Melody with the chance to open her dream bakery-café in Denver with her best friend, chef Rachel Bishop, she’s faced with an impossible choice: stay and put down roots with the people and place she’s come to call home . . . or give it all up for the man she loves. "Brunch at Bittersweet Cafe" is such a sweet and refreshing story! On the very first page I was transported to the bakery kitchen where Melody works, hearing the wind swirling the snow around outside, smelling the yeast and the various kinds of breads mingling together in the air. Then came the knock at the door and working this shift alone changed for Melody as she let pilot Justin in to use the phone and get warm. Carla did such a good job at setting the scene, introducing the characters and the internal struggles they are dealing with and showing their hearts and faith. Melody is working a job that will pay the bills, but her heart isn't in it and while she has faith, she needs to really test that faith and really truly rely on God. The story line flows nicely and the way Carla writes really brings the entire book to life, the descriptions are so vivid and it made me want to go check out every bakery within a 100 mile radius! This is such a great book featuring food and faith, the perfect mix! “Confessions of An Erstwhile Baker” Like most females, baking is encoded somewhere deep down in my DNA. Call it nature or call it nurture, but at the earliest age, I figured out that the cute boy in my English class would talk to me if it involved chocolate chip cookies. Got my heart broken or had a friend betray me? I grabbed the mixing bowl and went for the brownies (even better if they’re served à la mode.) My friend was having a birthday? I made a cake drowned in pounds of buttercream. I quickly graduated from the boxed mixes to the real thing when I got married and had a kitchen large enough to roll out dough. I would comb magazines for the best recipes and spend my weekends trying them out. I quickly became known for bringing beautifully iced Christmas cookies and delicious homemade cakes to work. Then my husband and I moved our young family from Los Angeles to Denver, a relocation that was about 1000 miles northeast and 5000 feet up. Suddenly, every recipe I’d perfected in the previous eight years failed. Cookies burned to crisps, cakes fell, and don’t get me started on candy making. Gradually, I adapted my recipes (my beloved never-fail Toll House recipe took eight tries to get right) and even became an avid artisan bread-baker. Then disaster. Or at least, what a baker would consider a disaster. After developing chronic health problems, I discovered that among other things, I was sensitive to gluten. The horror! In order to heal, I turned to the paleo diet, which eliminates all grains (there goes most gluten free recipes) and all processed sugars (there goes everything else). I’ve tried baking paleo-style, and while I can now make cakes that even my gluten-fiend family enjoy, it’s just not the same. So what’s a once-obsessive baker do when she can’t eat her creations? She bakes for other people and goes on faith that they actually taste good… considering she can’t taste them herself. It struck me that there was a spiritual lesson in that, and an obvious tie to Brunch at Bittersweet Café, which deals in large part with Melody’s faith journey. There are times when we have no idea if things are working out the way they’re supposed to, in which case we just have to trust the “recipe” and the input of friends and family who love us. Sometimes our instincts tell us when we’re off track, and sometimes we need that outside nudge from our “taste-testers” to put us back on course. In any case, what Melody and I have in common is that we both bake to show our love for the people around us. And the process of baking my favorites, even knowing that I can’t enjoy them myself, can still be a selfless way to show people they’re important to me. Fortunately, macarons, which happen to be made with almond flour, are still on the menu. This refreshing collection of 90 daily devotions comes from two moms who’ve found themselves face-to-the-floor in need of encouragement and now offer it to you. Through humor and vulnerability, these short messages of truth remove the filters of perfection clouding your vision and bring clarity to your purpose as a mom. As you read the Scripture and prayer that accompany each day’s message, you’ll discover more fully who you are in Christ and how to raise your children to reflect His love to the world. In giving yourself grace, you will find you have even more grace to give from the One who is present in your life right now and in every moment. Being a mother is so rewarding; however there are times that it may not feel that way when you are in the midst of sleepless nights, and the day in day out busyness of taking care of the children. 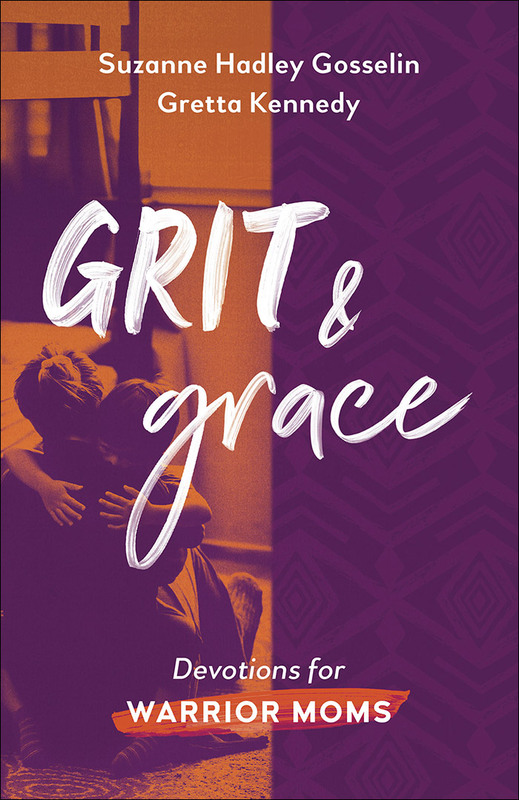 "Grit & Grace" is a perfect read for mothers, every single mother out there, and it is written by two mothers who have experiences the highs and lows of being a mother. Each devotional reading is only a couple of pages long, which is perfect, since it is hard to really dedicate a huge chunk of time to something that you want to complete with little to no interruptions. Suzanne and Greta each write from their hearts and share humor and do not hold back as they share their stories. Each of these readings give an accurate representation of motherhood and most importantly will leave you feeling encouraged and reminded that this is such an important and rewarding role and that you are the perfect one to be mothering your children. I was reminded several times that my children are always watching me as to how I live my life day to day, even while completing mundane tasks such as washing dishes. This book is such an encouraging read and I highly recommend it. 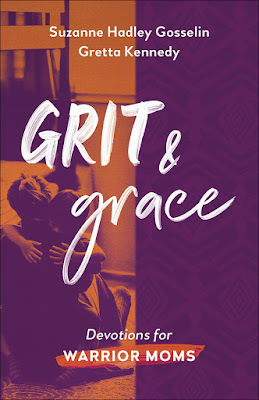 Fellow Grit &Grace Warrior Moms can connect on Facebook (gritandgracemoms), Twitter (@Gritandgracemom) and Instagram (@gritandgracemoms). Back in 1981, as a teenager, I woke early to watch Prince Charles marry Lady Diana Spencer. My fascination with the British royal family began with Diana. As a high school senior, I submitted my senior paper topic: Charles and Diana and the royal romance. My teacher was not amused — but once he read the paper, he did enjoy it and asked to keep a copy. Over the years, I’ve continued following and enjoying the British royals. When I worked as an elementary teacher, and the next generation of royals came along, I felt that there should be books about Prince William’s wife, Kate. I fondly remembered reading books about Diana when I was younger and felt that today’s girls might be fascinated by Kate in a similar way. I didn’t find many books about Kate, so I decided to write one myself. I learned much while researching Kate (or Catherine, as she prefers to be called). She’s a wonderful role model for girls today in many ways. To name just a few examples: she overcame being bullied by other girls at one of the schools she attended. And, she developed lots of patience during her nine-year courtship with Prince William. I hope you and the young people in your life will enjoy this biography of the Duchess. This biography is enjoyable to read for both kids and adults alike. Much like the author I grew up with a fasciation of the royal family and in middle school, Prince William was the crush of so many girls. Most girls are fascinated with royalty and princesses and this is a real-live princess whom is a great example and role models and therefore an excellent book for girls to read. Kate's childhood was like so many "regular" children's lives and she married royalty which is only a dream for so many. This is a great biography filled with lessons and encouragement for girls of all ages. It is a nice overview of the royal family and traditions and customs as well. This is a nice length book for children and interesting that adults enjoy it as well!